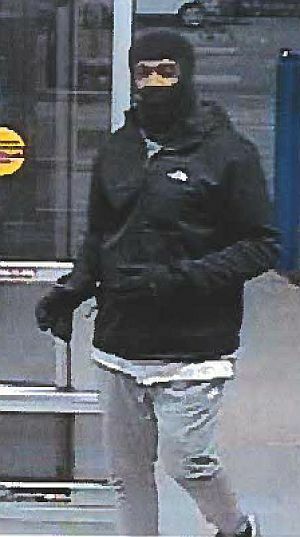 Moline police and Crime Stoppers of the Quad-Cities are looking for information leading to the arrest of the person who stole a 70-inchs television from a Walmart store. "On February 17, Moline Police responded to a call of a felony shoplifting at Walmart. This male subject walked into Wal-Mart with his face covered and loaded a 70” LED television from the electronics department on a cart. "He then exited the building near the automotive department. His vehicle is described as a black Chevy Suburban with no registration with a chrome bull bar on the front bumper. The television was valued at $798.00. "He was wearing a black ski mask, black Under Armor coat, black gloves, light joggers, with red Jordan tennis shoes." Anyone with information about this theft are asked to call the Crime Stoppers tip line at 309-762-9500 or submit your tip using the P3 Tips app. All tips are anonymous and you could earn a cash reward.